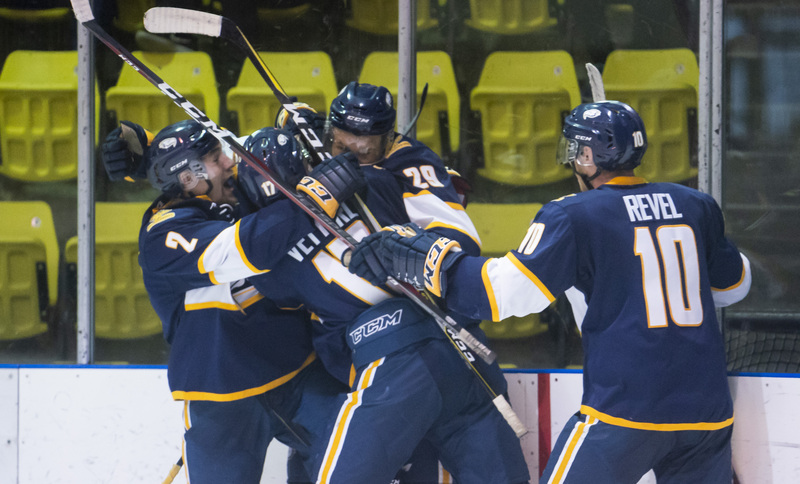 The UBC Thunderbirds men’s hockey team are set to host Denmark’s U-20 national team on Tuesday, December 18 for a friendly to kick off the winter holidays. It's also the run-up to the 2019 IIHF World Junior Hockey Championship to be held in Vancouver and Victoria starting December 26. The contest with the Danes marks a historic moment for the ’Birds, who rarely get the chance to face national programs. It has already generated plenty of excitement in the locker room. "It's going to be cool, it'll make for a great story and great experience," said UBC head coach Sven Butenschon. "It's a long time for us to be off from a game setting so I'm super pumped we can get a game in there and stay sharp. Exams will be almost over, it's Christmas, it's that time of year where everyone tends to be in a bit better mood so add in the chance to play Denmark who's going to the World Juniors, it's going to be awesome." The contest will allow UBC to test its skills against some of the world’s very best up-and-comers in the sport like 2017 Detroit Red Wings draft pick Malte Setkov. 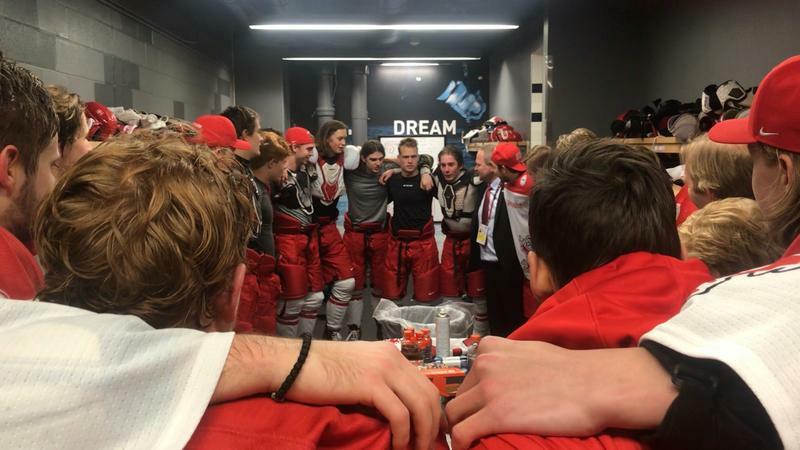 For Denmark, it's a chance to face some friendly competition as they prepare to open round-robin play against the host Canadian team on Boxing Day. "We are very much looking forward to staying on campus at UBC and honoured to have this opportunity," said Danish General Manager Claus Fonnesbech Christensen in a press release. "We will have three goaltenders and 23 skaters with us as we prepare for play on the smaller ice surface as well as adjust to the nine-hour time difference." Winners of five of their last six games, the Thunderbirds are looking to embrace the once-in-a-lifetime opportunity before a much-deserved break. Admission for the exciting matchup comes free of charge, which makes it an excellent way for students to celebrate the end of exams. The puck drops at 6 p.m. Tuesday, December 18 at Doug Mitchell Thunderbird Sports Centre.